Paying deposit for a DX trip... east right... no! Was supposed to be only for a week.... now two months later and it is still not usable now and getting to be a major pain. All the projects are in the white cupboards and the workbench is constantly covered in sawdust. It's running XP right now. Acer Aspire 5003MLMi BIOS AMD Turion 64 Bit Mobile CPU with 32 Bit not sure what that means? At last can get at the workbench so will grab some build projects. 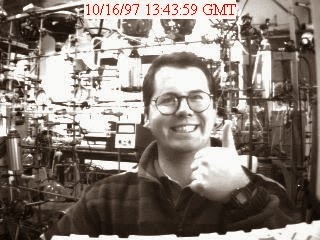 Had builders in (new bathrooms) and in my absence they took over the workshop as a store for all their gear so I have not been able to get near the workbench. Stuff has moved and so will have a 24 hr period when nothing being added so looks like will manage to grab stuff I need to finish off a K2 I have had for a bit. Means reversing the the no work in the shack rule but needs must. Got the Mh2 mike and 6BTV is up so should be able to test it. I also have to do a rig review, when/if that turns up, for RadCom. rig I had started ages ago as I have 146MHz NoV and summer would be great time to look at it. 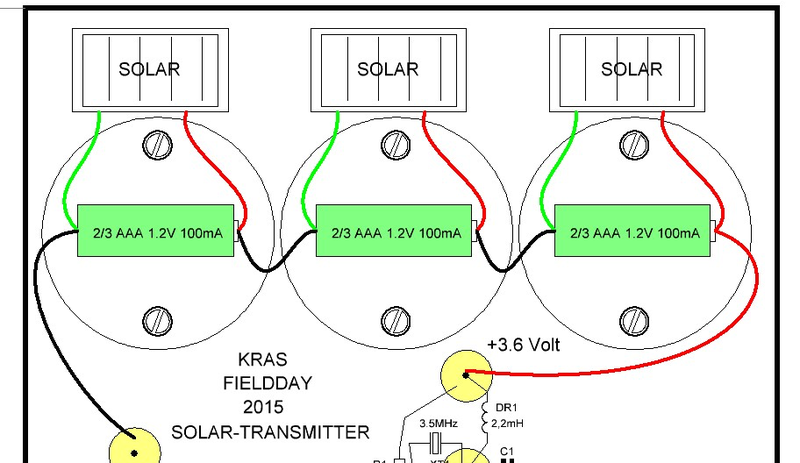 SM7UCZ and I (visited last month) were brain storming a KRAS (Kalmar Radio Soc) Field Day project based on those cheap garden solar lights you see in most garden centres, some wood (Sweden has loads of that, drawing pips and some GQRP sales provided parts. 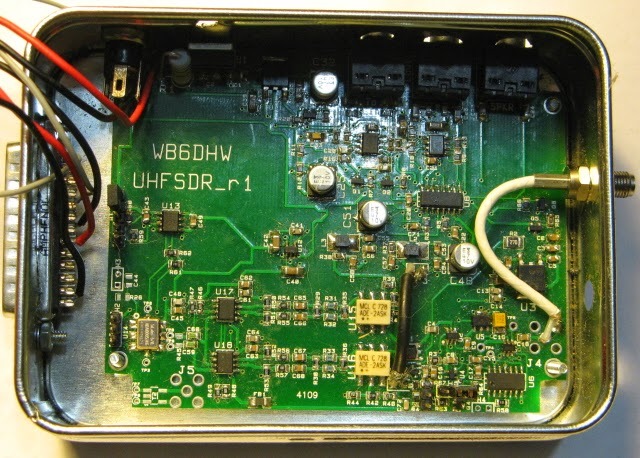 The beacon and TX bit is working (SM7UCZ did that) I ordered some ultra cheap eBay Arduino modules, that have arrived, to add temp, pressure etc to a beacon signal so I need some time to look at that code. The PIC-A-STAR builds are taking a serious back seat now so will need to rethink will I keep them. 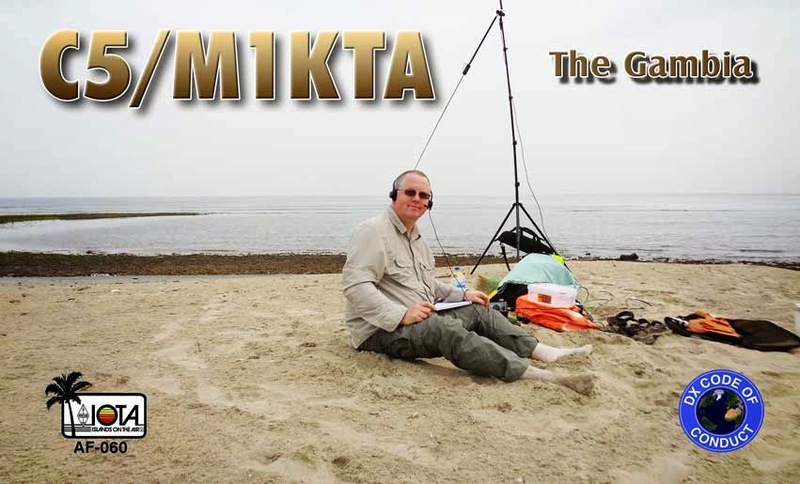 The solar panel M1KTA's QRP ham radio blog: Tested the solar panels based portable 140W PA been putting together for use with one of the Camb-Hams on a possible DX trip is on hold as the DXCC is not going to happen this year or next maybe (war zone!). The Optical Transceiver, parts and hardware I think I'll sell as a whole at Rishworth (LEDs) as doesn't look like going to build it up. And trying to find a new job too and into the endless round of emails, telephone calls and travel to interviews and/or Skype call after Skype call but I'm sure something will fall into place soon ... feels a lot harder to find work as an IT geek these days. HOW TO CALCULATE VOLTAGE DROP AND ENERGY LOSSES IN A WIRE? NB: for DC voltage drop in photovoltaic system, the voltage of the system is U = Umpp of one panel x number of panels in a serie. b : lenght cable factor, b=2 for single phase wiring, b=1 for three-phased wiring. ρ1 : resistivity of the material conductor, 0.023 for copper and 0.037 for aluminium (ambiant temperature = 25°C) in ohm.mm²/m. L : simple lenght of the cable (distance between the source and the appliance), in meters (m). Cos φ : power factor, Cos φ = 1 for pure resistive load, Cos φ< 1 for inductive charge, (usually 0.8). Sin φ : sinus (acos(cos φ)). NB : For DC circuit, cos φ=1, so sin φ=0. 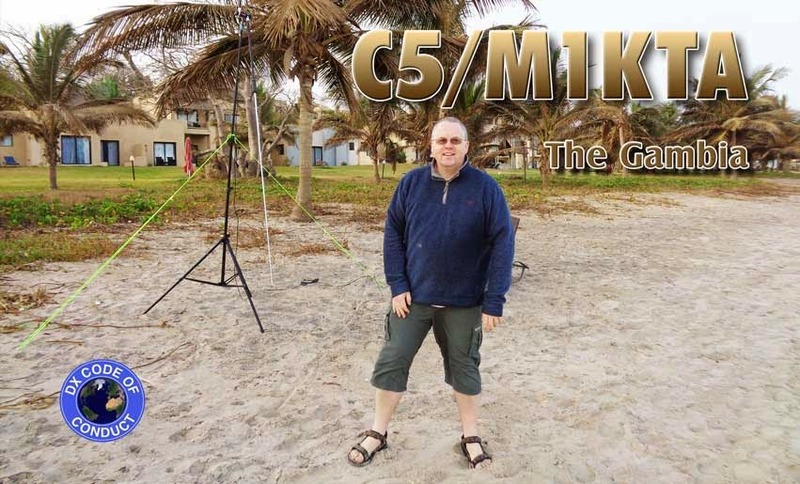 C5 QSL cards are here from FDS... will start going out. I'll be going through all the direct, buro and club log (direct and buro) cards first then will go through the remaining IOTA AF-060 (2015) which will go via BURO then all the other main land ones, I will send the BERU contest ones last. Then all the 2014 cards not sent out already will go out. 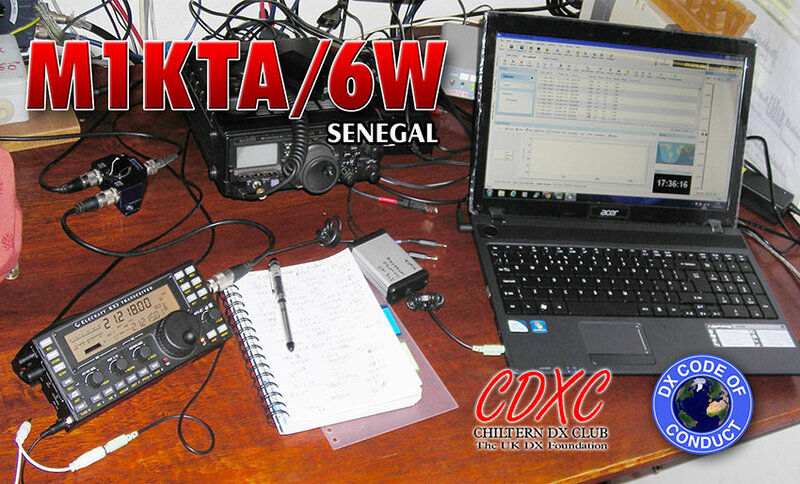 Please note I will NOT upload anything to LoTW for a while... if you want need a confirmation then use club log and order a card, will probably be quicker. IOTA AF-060 only real cards count anyway for IOTA awards .... go figure. Donations ARE accepted as this has cost me a lot more than I have had in so far. I hear should be with me early next week.... then all directs will go out soon after. I had a load of 6W requests (2012 trip!) just arrived so arranged a reprint as well. I'm not in CDXC any more though (I resigned). The motor bike batteries 7AH were obtained from Cycles Express... they are near the Westfield Junction round about extreme end of Kairba Avenvue AWAY from the tourist hotels. each was 800 dalasi so 1600 total (it was 60 to the pound so about £12 each) and they powered almost all operation... and laptop via a 75W inverter. I recharged them from a 12V 3A wall wart (eBay) into a peak-pro smart charger and the batteries were recharged at 0.9A max overnight. No these have NOT been uploaded to LoTW or club log. These were from 06:10 UTC I was qrv from about 04:00, the earlier ones are not listed AND WERE NEARLY ALL VK OR JA. ... no chance $%£&^%^$! bloody UK banks have seen to that. Be careful though as amounts you transfer are not protected as they are through 'normal' UK/EU/US bank account 'protection' schemes. Better than sending cash via Western Union though although if you know and trust the other party that works (I've used it for years and not had a problem). 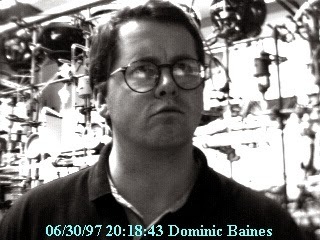 I had been running the server from July 1995 to May 1998 (whilst I was studying for PhD in Cambridge University). "The small square box in the centre of the image with two knobs is the whole system pressure gauge. When that reaches 0.000001 torr I start work. As I am in this picture !!!"